On Sale Now! Free Shipping Included! 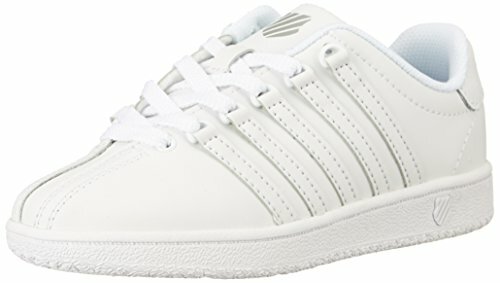 Save 7% on the K-Swiss Classic VN Sneaker, White/White, 8 W US Toddler by K-Swiss at Baby Clothes Favorites. MPN: 22243-912-8 W US Infant. Hurry! Limited time offer. Offer valid only while supplies last. Classic, timeless style; the iconic, classic VN, features K-Swiss' signature five-stripe branding, three-piece toe, d-rings, and lace up closure.